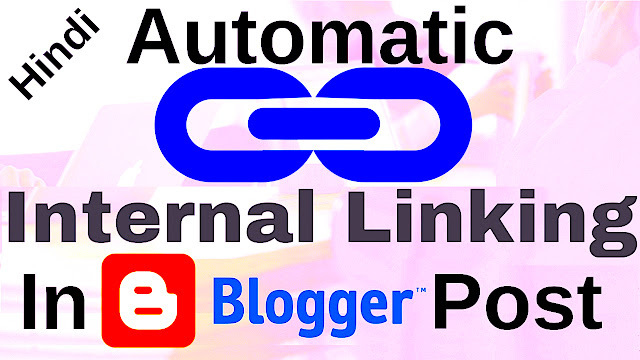 How to create automatic internal links in blogger websites blogs post on page SEO 2019. Please don't forget to Like, Share, Comment and Subscribe to our Techno Vedant Channel for more videos. Internal - When we want to connect one of our own posts to our own second post, they will be called internally because we do not connect any other website or blog here. Links - The way to add two blog posts for which you add a post URL to another blog post or share it is called Links. Why do I insert internal links? Views Increase in your old article. Readers also get information about your other related articles. By putting internal links, the search engine gives importance to your post. You can clear your topic very well by putting internal links in one post.